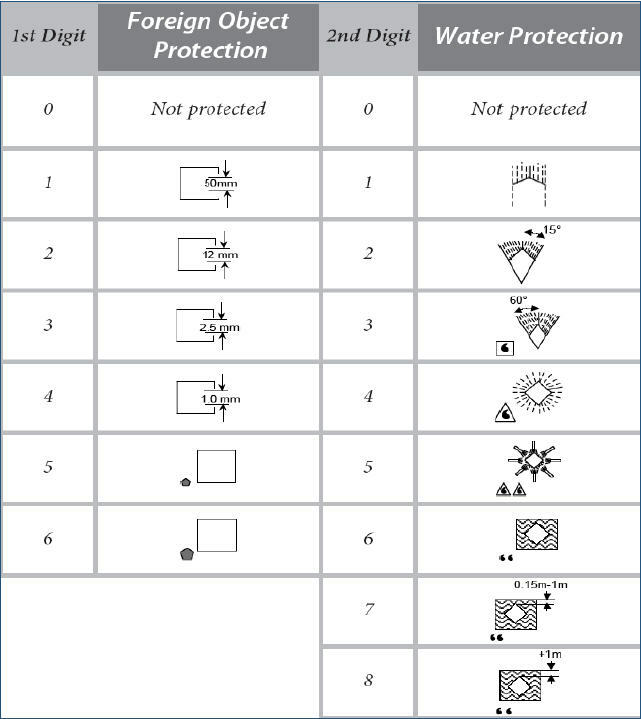 The first digit of the IP code indicates the degree that persons are protected against contact with moving parts (other than smooth rotatingÂ shafts, etc.) and the degree that equipment is protected against solid foreign bodies intruding into an enclosure. Submersion depth and time must be specified by the end-user. The requirement must be more onerous than IP67.